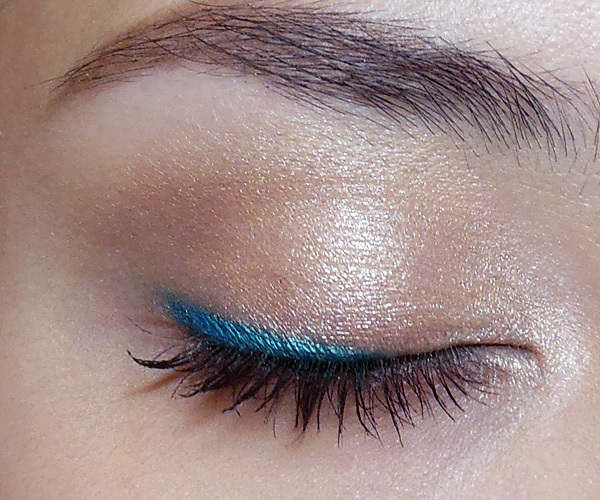 This is a super quick eye look that I always pop on when I don't have a lot of time to do my face, and want an eye that is subtle but still has a shot of fun color. I tend to pair this look with a strong blush and bright lips (a coral-pink mostly). The best thing is it's super easy and you don't need to be an expert or to have a very steady hand. Plus you have tons of shade options. Any colored liner pencil will work as that accent color on your lid. Step 1: First apply a champagne or beige shimmery shadow to the entire lid. 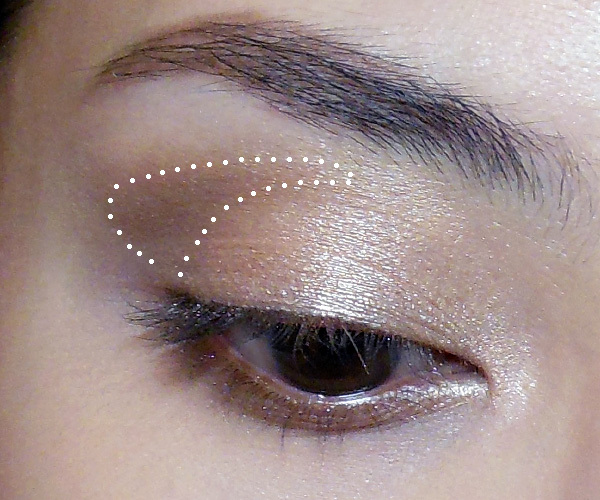 Step 2: If you need, apply a soft medium brown shade to the outer halves of the socket line just to add some definition back to your eye area. Especially important if you have hooded or mono-lids, or if your socket is not very defined to begin with. 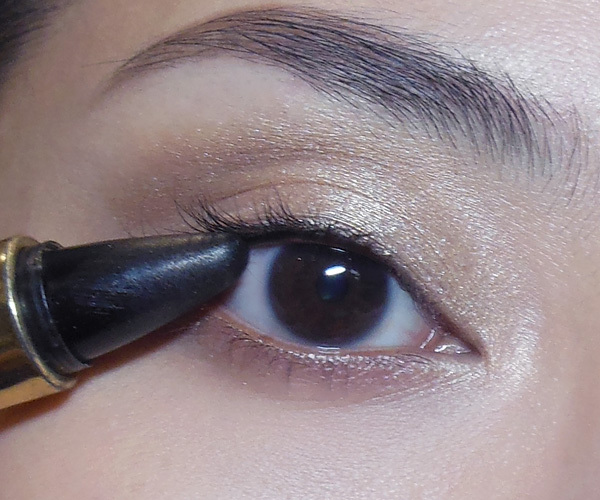 Step 3: I ran a black kajal along the inner rims of the upper lash line. 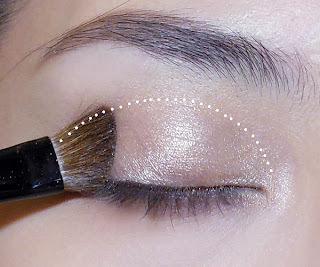 This helps to darken and reinforce the lash line as the bright liner you put on later can have a tendency to make it less obvious. 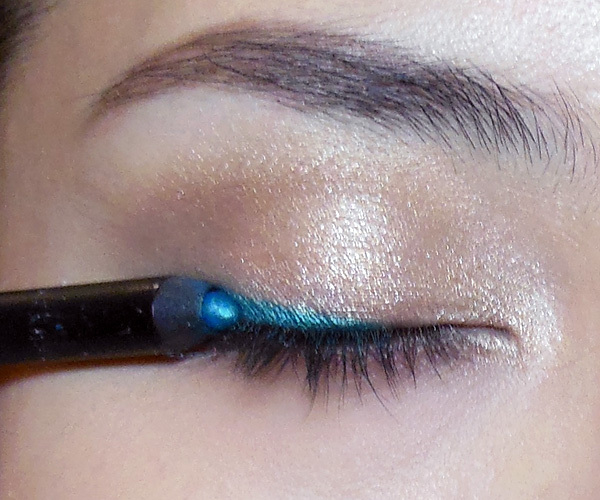 Step 4: Now run your bright pencil from the center of the lid to the outer corner, going from thin to thick. 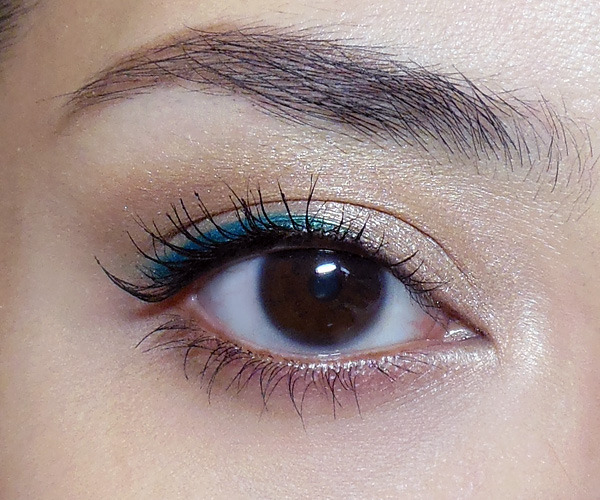 Step 5: Finish with mascara and you're done! I used a bright peony pink (coral and neon-pink combined) blush, La Femme's "Pink" to match my bright peachy-pink lips, Stila's Elle.